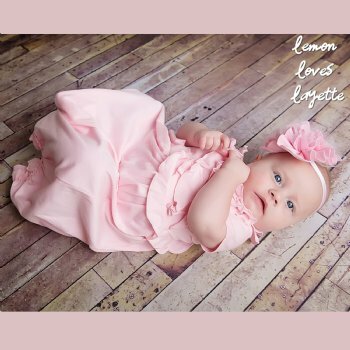 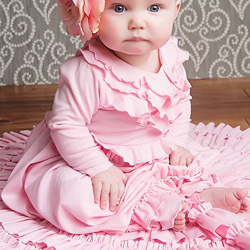 This lovely "Julia" pink baby gown by Lemon Loves Layette features a cross over top with ruffles. 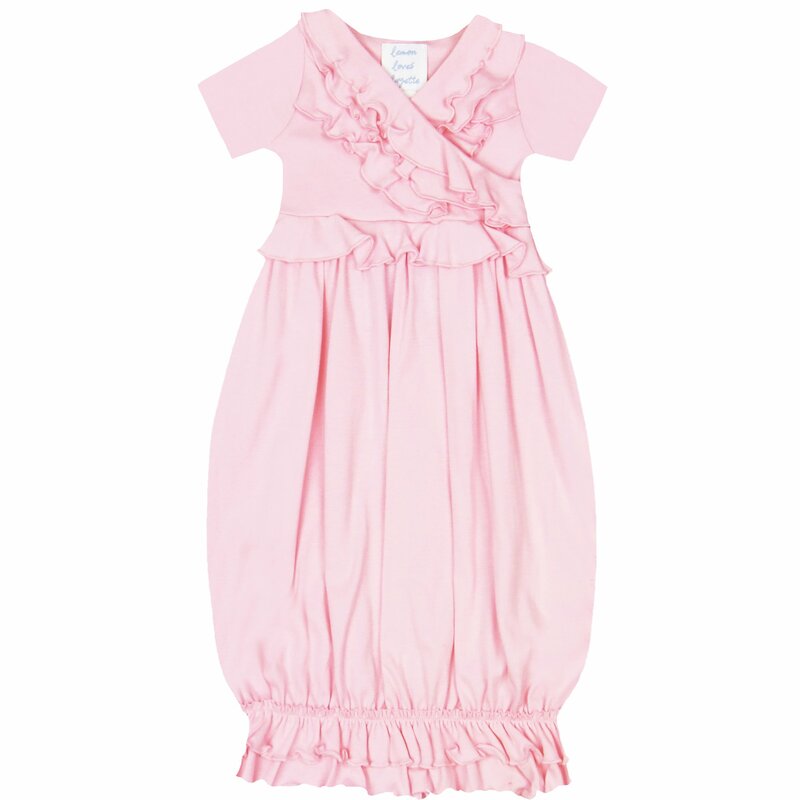 Short sleeves are perfect for warmer weather. 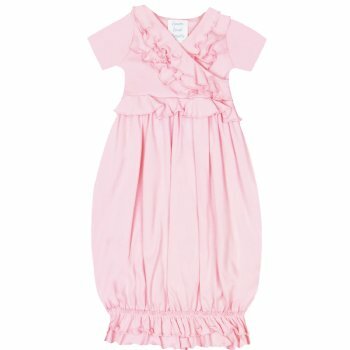 This 100% cotton gown has ample room to accommodate baby's movements and is long enough to keep those toes nice and warm. 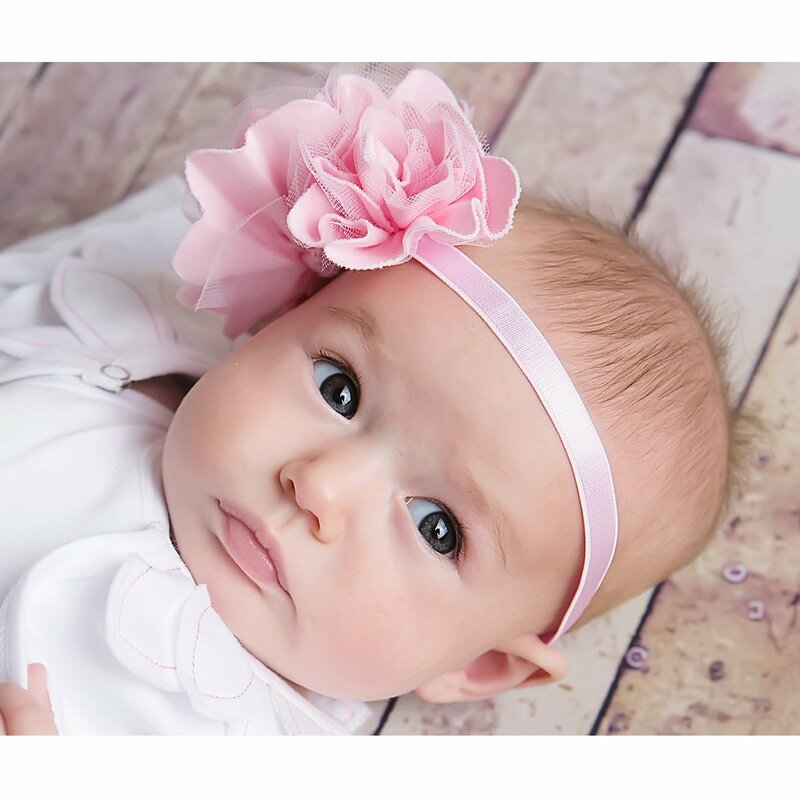 A beautiful baby shower gift.